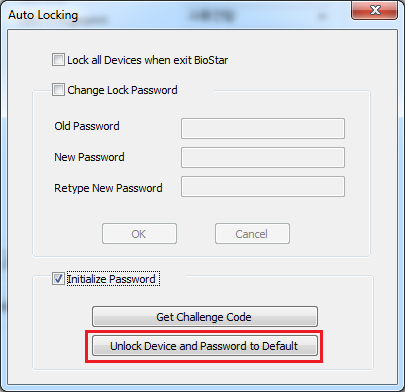 You can lock devices to prevent unauthorized access from users when BioStar is not running. 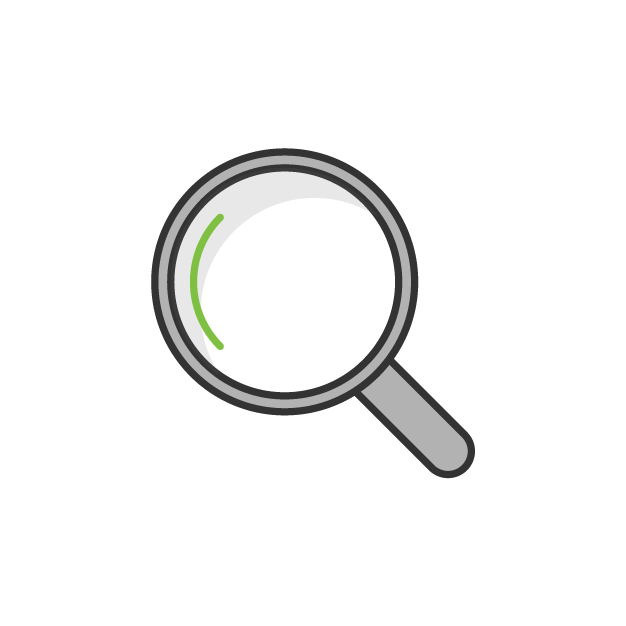 Besides, when devices use the Direct mode, another BioStar client can also add the devices if the maximum number of connections is set to more than one on the devices. Therefore, BioStar provides the feature to lock the connected devices to prevent unauthorized users from manipulating the settings of the devices. However, if you forgot the locking password, you need to send Suprema's technical support team Challenge Code and the technical support team will send you an unlock code. 1. Go to Option > Device > Automatic Locking from the menu. 3. Choose the device from the Device ID selection box and click Get. Then, you will get the Challenge Code from the device. 4. 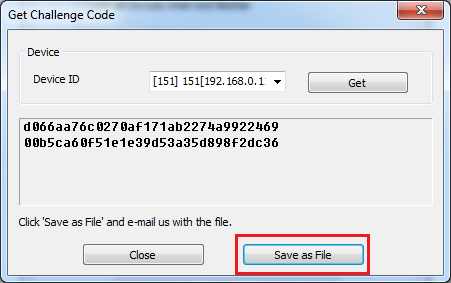 Click Save as File and send the file to the Suprema technical support team. 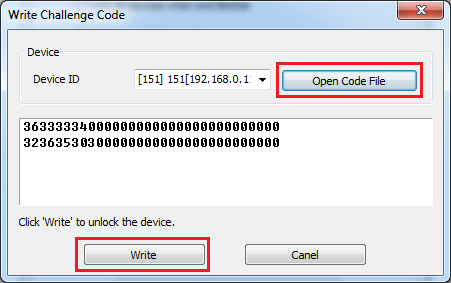 You can unlock a device using an unlock code file that you have received from the Suprema technical support team. 3. Step 2 brings up the Write Challenge Code dialog. 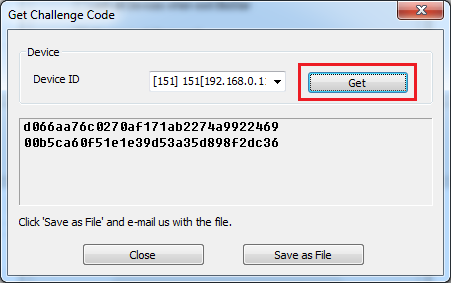 Click Open Code File, choose the unlock code file and then Click Write. 4. The device is unlocked now. How Do I Enable Server Matching in BioStar 1.x?